MEGAZONE Laser Games have arrived in Hamilton and you’ll find them in the building next door to Leap Indoor Trampoline Park! MEGAZONE Hamilton is part of the LEAP family so you can call us on 07 850 4222 for any inquiries or to book in your Laser Tag or Laser Trap event. MEGAZONE have the same opening times as Leap Hamilton. Laser Tag games are played every 15 minutes during our opening hours - starting on the hour ie 9am, 9:15 am etc. 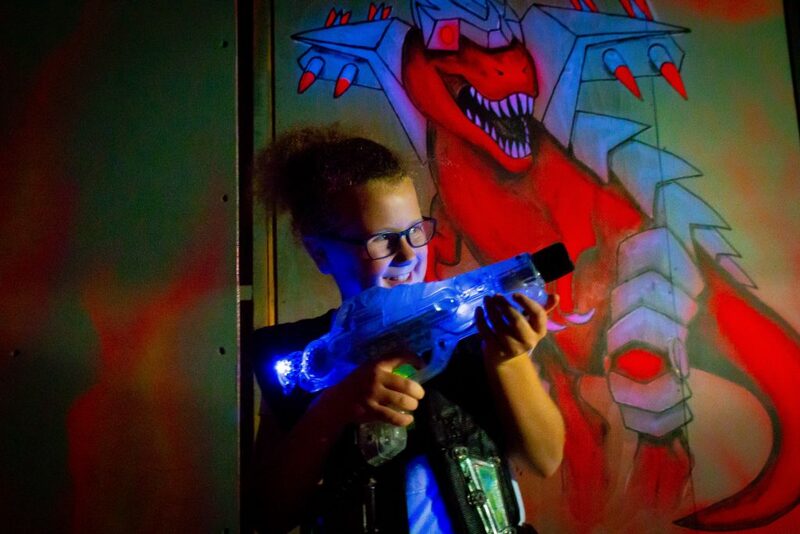 Each Laser Tag Game takes about 12 minutes to complete. A maximum of 25 players can play at a time - if you are a smaller group, we can add you to another group (similar in age) to play together. If you require an exclusive game, you will need to have a minimum of 15 players. We recommend wearing footwear. The Laser Trap is a 2 person race and takes a few minutes to complete. Imagine Mission Impossible - a web of lasers - and you need to get from one end of the room to the other without setting off the lasers! Race your friends and see who can do it the quickest without touching the lasers! The Laser Trap is available throughout our opening times and runs on a first in, first served basis. We are happy to help with any inquiries you may have. Contact us using the form below and one of our friendly Team will get back to you as soon as they can. Gathering friends for a party or social outing? Tell us your approximate group size in the comments section and our Team will respond with some great options for you and your group. Keen to create a fun, memorable birthday celebration? We have really awesome themed party rooms available for your party. Tell us your group size and ideas in the comments section below and our Team will respond with some great party options for your birthday group.